From the creators of Shrek comes the most smart, funny, irreverent animated comedy of the year, DreamWorks’ Trolls. This holiday season, enter a colorful, wondrous world populated by hilariously unforgettable characters and discover the story of the overly optimistic Trolls, with a constant song on their lips, and the comedicly pessimistic Bergens, who are only happy when they have trolls in their stomach. The original Troll doll was created in 1958 by Thomas Dam from Denmark. The voice cast for Trolls includes James Corden, Anna Kendrick, and Christine Baranski, who all appeared in Into the Woods together. Jeffrey Tambour also features, and he starred in The Accountant with Anna Kendrick. Jonathan Aibel and Grenn Berger have now written five films together for Dreamworks animations. The others are the three Kung Fu Panda films, and Monsters vs. Aliens. 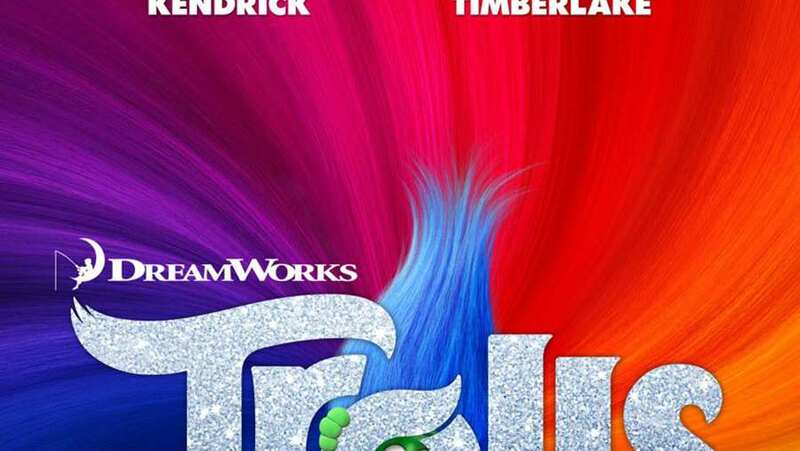 Don't confuse this movie (Trolls) with Troll, which is set to be released in 2017. Trolls are enjoying a surge in popularity, it seems! Some people (including me) can remember a time when Troll dolls were all the rage. They were literally everywhere, and it could well be that with the release of this movie, Dreamworks will bring Trolls back into fashion once more. Be prepared. The cute little creatures have been deemed worthy of a movie, and while the plot of the film isn't known from this trailer, the teaser above is still fun. All we really get to know of the Trolls is that they like music and dancing, they have fabulous hair, and that they're at risk of being eaten. The bigger creatures doing the eating are known as Bergens, and apart from their feet, we have no idea what they look like. They are described as pessimistic, though. Presumably at least part of the movie will focus on the Trolls trying to outwit the Bergens in some way. Dreamworks always produce solid animated movies, but somehow never quite achieve the success they enjoyed with the Shrek franchise. Could Trolls be the film to really propel them to the acclaim enjoyed by Disney? Well, probably not, to be honest, but that doesn't mean the movie won't be enjoyable, especially for younger children. Trolls features an all-star voice cast, including Anna Kendrick, Justin Timberlake, Russell Brand, and James Corden. It's not released until Fall 2016, so expect to see more teasers and longer trailers being released in due course.